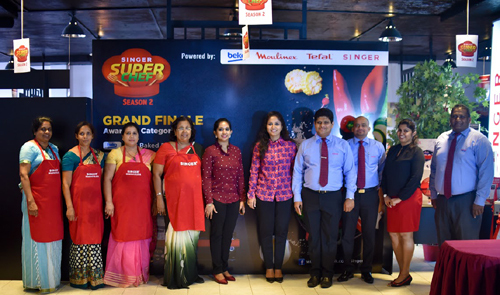 Singer (Sri Lanka) conducted ‘Singer Super Chef Season 2,’ a competition that commenced with an online competition and ended with a live cooking event. Contestants for Singer Super Chef Season 2 were selected through a competition on the Singer (Sri Lanka) Facebook page where fans were requested to submit their own recipes. Over 200 unique recipes were sent in by enthusiastic cooking fans, of which 20 were shortlisted. Of these 20 shortlisted recipes, the final eight recipes were selected for a ‘Live Cook Off,’ which provided competitors the rare opportunity of showcasing their culinary talents and passion for cooking to a large online audience courtesy of Facebook Live streaming.